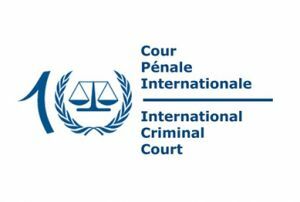 On 4 February 2014 the legal team from 9 Bedford Row International filed a Communication with the ICC Prosecutor in accordance with Article 15 of the Rome Statute of the International Criminal Court to open a preliminary inquiry into the situation in Bangladesh. Our team briefed the ICC Office of the Prosecutor and members of the international community in The Hague on the substance of the allegations set out in the Communication. The legal team from the Chambers of Anthony Berry QC has been instructed by the International Coalition for Freedoms of Rights, an independent human rights organisation based in Europe that comprises international human rights lawyers from around the world. The ICFR has at the core of its mandate the investigation of human rights abuses and referral of cases to the International Criminal Court in The Hague. The purpose of the filing is to request the ICC Prosecutor to exercise her discretion in opening a preliminary inquiry into the situation in Bangladesh. It is expected that a detailed investigation will be required to identify sufficient evidence to bring charges against members of the Awami League Government for Crimes Against Humanity. The briefing, with representatives of the Bangladesh media, will take place at the Chambers of Anthony Berry QC, 9 Bedford Row, Gray’s Inn, London on Friday 7 February.